Finborough Hall is the original Xplore activity camp, where we began over 30 years ago. The grounds of the school are impressive with acres of land and everything you could need for the ultimate outdoor adventure camp, including woodland containing our 40 foot high climbing and rappelling tower, a river for kayaking and raft building and one super quad riding track. Just across the river, there is more woodland where we hold our bush craft sessions and evening campfires where everyone comes together to sing songs and roast marshmallows! 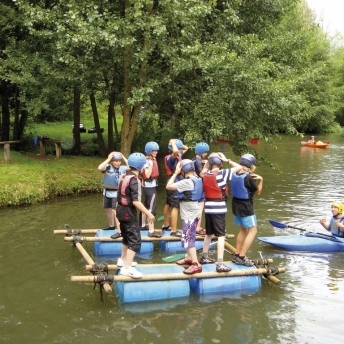 Camp Finborough is the ultimate adventure camp experience – the activities offered are endless. The program is varied, with a selection of activity sessions on offer for everyone all designed to help you meet and interact with other international students. In addition to crate climbing, quad riding, games and sports, Camp Finborough also has a river for water-based activities such as kayaking, canoeing and raft building and two woodland areas for climbing, rappelling, bush craft, and campfires! During the 2-week program, our staff will take all our campers on 3 organized day trip excursions. These fully supervised trips are the perfect way to spend the day off-campus with new friends – from day trips to big cities such as London, Cambridge or Norwich to having a wild time on all the rides at the local theme park, Pleasurewood Hills. 3 Excursions during 2-week program – Wednesday, Saturday, Wednesday. Transfers – Roundtrip transfers from and to London Heathrow International Airport (LHR) on arrival and departure dates are included. Please ensure your arrival flight arrives at LHR between 10:00 am and 3:00 pm and your departure flight leaves LHR between 12:00 – 5:00 pm. Unfortunately, flights outside of these times or to/from a different airport will incur an additional cost – please check with our bookings team first. Accommodation – Shared accommodation is located across two buildings (main school and on-site cabin lodge) both containing dorm rooms that can sleep 4 to 6 with similar facilities. We always have separate quarters for boys and girls and try where possible to put children of a similar age in a room together. If we you have any special requirements or would like to request to share with a friend, we will try to accommodate you, just let us know in advance. Food – At Camp Finborough there is a large dining hall, serving three nutritious meals a day by friendly kitchen staff. There is always plenty of choice with a selection of international cuisines available and options for both hot and cold buffet food. Our Camp Leaders eat their meals at the same time as campers to make sure everyone has had enough food and eating healthily. Dietary requirements can be met when we are aware in advance. Care and Supervision – Camp Finborough is surrounded by English countryside so our pre-teen campers will feel right at home with everything they need on-site. Xplore Camp Leaders are responsible for the pastoral care of all the children in our care and ensure that each child is sleeping well, eating well, joining in, making friends and having a great time. During free time, children are able to play and explore the campus with friends, while being supervised by their house parents. 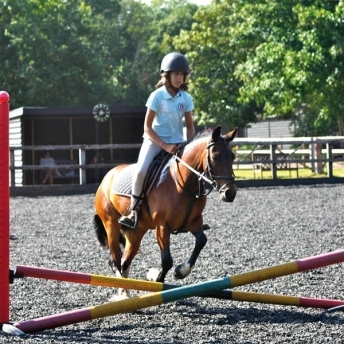 International Camp – Our camps are available to children from all over the world. Integration and immersion is central to how we operate as an organization, and by encouraging lots of social interaction between different cultures and creating a diverse international community at camp, it can really develop every child’s self-confidence in communicating with others. Cover for over 90 sports and activities are included as standard (full details are available within policy documentation). Cancellation and curtailment of the trip due to accident, illness or sickness. If taken ill or have an accident, Endsleigh will pay emergency medical bills and hospital costs that are not covered by the National Health Service. Additional costs incurred to repatriate, if medically necessary. Reasonable costs to return home if a close relative is seriously ill. Reimbursement if luggage is lost, stolen or accidentally damaged. Endsleigh will help replace passports, or visas if they are lost or stolen. Money stolen either from your person or while locked away, will be replaced. If a student accidentally injures someone or damage their property, Endsleigh will cover legal liability. Advice and assistance to take legal action is covered. Cover for unavoidable or necessary cancellation or curtailment of course before completion due to, death, bodily injury or illness.